About Us | How Can eClincher Grow Your Business? Staying on top of social media is a huge challenge. On average, businesses spend 6-25 hours a week managing their social media presence. We built eClincher with the goal of simplifying social media marketing, while providing a complete and user-friendly solution to engage, monitor, and grow your audience on multiple social networks. eClincher is a single platform, which allows businesses to efficiently manage and track social media accounts with actionable analytics. Check out some of our success stories. eClincher is a powerful social media management tool, designed to help businesses to efficiently manage social media presence and marketing activities. 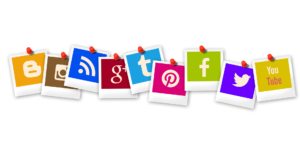 eClincher combines all the social media accounts into one place, a huge time saver. Users use eClincher to manage social media, increase brand awareness, publishing, engagement, monitoring, finding and curating content, social selling, customer support, and more.